To support the full implementation of the Philippines E-Commerce Roadmap 2016 to 2020, we are offering this 10-module (23 topics) mentoring program to MSMEs and Freelancers for free. With the intention of helping entrepreneurs take their business online. Here's the learning schedule. Each topic will be a one-hour webinar session from 10 AM to 11 AM. Our warm thanks to Patrons for supporting the creation of these free lessons. Use the free learning modules to gain knowledge about e-commerce and digital marketing. Put them into practice. The first edition of this series took place last December 2016 - January 2017. We are running another one to update our materials. This time, we are including topics to help out aspiring freelancers. Janette Toral is an e-commerce advocate and digital influencer. She is the program head of the Certified E-Commerce Specialist, Entrepreneur, and Professional Program. 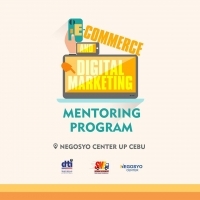 She conducted the 10-module E-Commerce and Digital Marketing Mentoring Program for MSMEs at Department of Trade and Industry -Cebu (3 batches) and Bohol (1 batch) assisting around 80 MSMEs. Total combined sales, as campaign output, at 9 Million pesos. She offered a similar version for the Department of Information and Communications Technology in 2017 targeted at aspiring freelancers with MSMEs as case study (for experience portfolio). It was rolled out in 26 locations (Carmona Cavite, Aurora, Oton Iloilo, Sarangani, Catanduanes, Aklan, Cabadbaran City, Tagum City, Polangui Albay, Zamboanga City, Siargao, Masbate, Cauayan City, Bogo City, Lamitan Basilan, Balanga, Quirino, Maasin, Dumalinao City, Tarlac, Allen, Mati City, Plaridel, Benguet, San Carlos City, Dapitan City) in the Philippines with 534 graduates and benefited 381 MSMEs. Total combined sales, as campaign output, at 10 million pesos. She is offering this program online to benefit more MSMEs, aspiring freelancers, and e-commerce advocates in the country. She, with various e-commerce stakeholders, helped the DTI in crafting the Philippines E-Commerce Roadmap 2016 to 2020. For questions about this free mentoring program, contact Janette Toral by sending a private message. 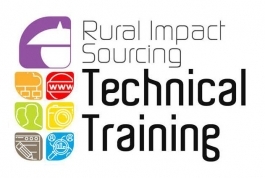 DTI workshop gives 16 MSMEs an online boost. MSMEs to use e-commerce knowledge to expand markets.